Carol Swainson joins San Francisco Schoolhouse as the Head of School. Carol has been an administrator in independent schools for 18 years and has taught nearly every discipline from grades 3 through adult. Her various administrative roles have included Diversity Coordinator (Sidwell Friends School), Head of Middle School (Head-Royce School & University of Chicago Laboratory Schools), Associate Head of School (St. James’ Episcopal School) and Head of K-8 (Bentley School). Carol earned a B.A. in French and Spanish languages and an M.Ed. in social foundations from the University of Virginia. Throughout her career, Carol has been an advocate for experiential, international, and arts education; has overseen significant school growth and construction efforts; has championed sustainability, diversity, equity, and social justice; and has been a trailblazer in curriculum development, leading the way for the integration of technology and twenty-first century teaching and learning initiatives. A globalist at heart, Carol is fluent in French and Spanish and has also studied Italian and Arabic. She is also an amateur oboist and composer, having produced original works for theatrical and performance art shows and art installations. She resides in Oakland with her husband and artist Stevens Jay Carter. Together, they advocate for the arts as a way to cultivate social change and to promote peace, harmony, and well-being. Jina Kim joins the Schoolhouse as Operations Director. Jina earned her B.A. in psychology at the University of California, Berkeley, and an M.A. at the University of Chicago in Social Service Administration. She went on to earn a J.D. at Northwestern University. Jina has worked with elementary-aged children in multiple capacities, including developing and teaching a Bridge Kindergarten, creating and leading an educational program for Vietnamese immigrant children, teaching science classes at the Lawrence of Hall of Science, supervising children in an after school program, and interning as a social worker at a children’s hospital. She also spent several years at Morrison Foerster LLP as an attorney, leading teams of 20 or more individuals on complex litigation cases. Jina has three children attending Schoolhouse this year, twin girls in kindergarten, and a son in fifth grade. She has also been a Board member since 2016. Patrick Ardinger joins the Schoolhouse teaching team as a grades 4-7 teacher. Originally from Kansas City, he earned a Bachelor’s Degree in English from Stanford and a Masters Degree in the Teaching of English from Teachers College, Columbia University. Patrick began his career at a small school in New York, where he founded an a cappella group and led the theatre and chorus programs. He moved back to the Bay Area in 2013, where he taught English and Yearbook. In 2016, he moved to the Seattle area, where he taught 8th grade English. Patrick is excited to return to San Francisco and help grow the Schoolhouse’s vibrant and engaging middle school program where his passion for interdisciplinary teaching is valued. Lawrence Hargarten joins the Schoolhouse teaching team as a grades 4-7 teacher. A San Francisco native with a love for the Midwest, he attended Marquette University where he obtained a B.A. in History and Broadfield Social Sciences, along with an M.A. in Education and Mathematics. He taught 9th grade Civics for two years in Milwaukee, Wisconsin before heading out to Japan where he taught English, Science, and Mathematics as well as serving as the cultural ambassador for new foreign teachers. Upon returning to his hometown city fluent in Japanese, Lawrence began sharing his love of teaching math to a diverse population of students in the Mission district. Lawrence is thrilled to bring his energy, enthusiasm, and his passion for math and gardening. He is also eager to share his love of all things SF Giants with the Schoolhouse. Mariel-Mae Paat, our Extended Program Coordinator & Flex Teacher, joined the Schoolhouse in 2015. Mariel graduated with a bachelor’s degree from San Francisco State in 2014 where she was a studio art and art history major. Mariel has spent the past four summers teaching art at Camp Galileo, and supervising and supporting Team Leaders. 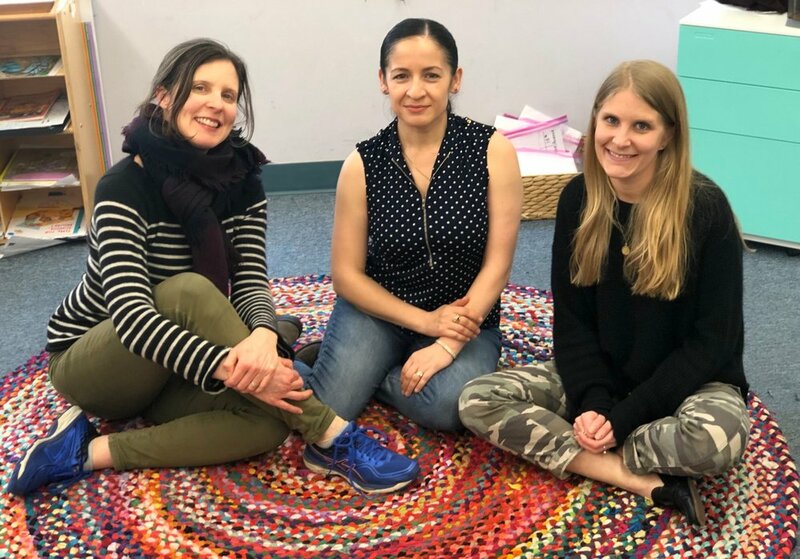 Prior to joining the Schoolhouse, Mariel was a “Super Chef” in an elementary after school program where, through project-based learning activities, she educated children about healthy eating habits, and basic cooking and gardening skills. 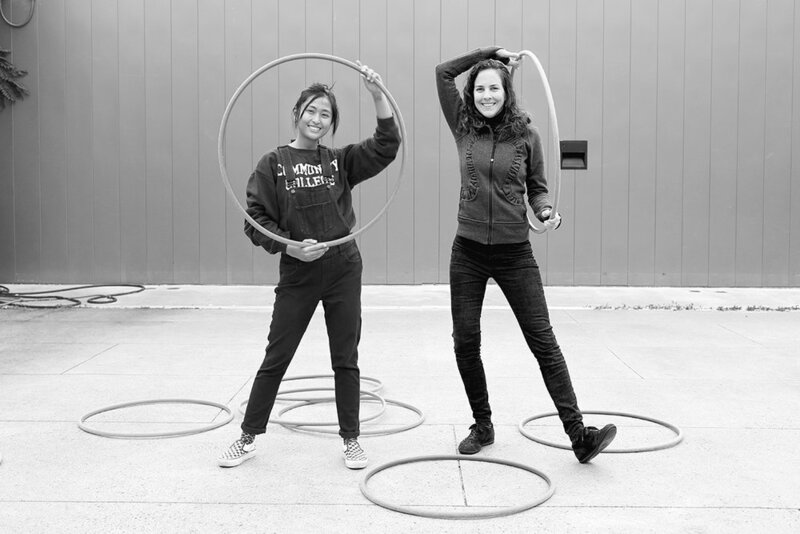 Kathy Pfeiffer came to San Francisco Schoolhouse in 2016, teaching The Art and Science of Hula Hooping as an enrichment class. From "Hoop Teacher," Kathy transitioned to Substitute Teacher, often leading small group science lessons. This year, she joins Schoolhouse as a Flex Teacher. Kathy studied Science A-levels in England. She then earned a General Master of the Arts with Distinction from the University of St Andrews, Scotland. Back in the Bay Area, she worked as a researcher for a museum exhibit design firm and then in academic administration. She was the sole Administrator for a small school of homeopathy as well as the Course Coordinator for UCSF's largest Medical School course. Kathy was also the Assistant Director for a tutoring organization called One Smart Kid. Jesse Mainardi, an East Coast native, grew-up outside of Philadelphia eating cheesesteaks and going to the Jersey Shore. Many years ago, he taught in New Jersey and developed an enduring respect for teachers and an appreciation for their importance in the life of a child. In addition to serving on the Schoolhouse board, Jesse has also been actively involved in public education reform organizations through the years. Jesse values the creative and empowering environment at the Schoolhouse as well as its community of families. Jesse is an attorney specializing in political law and a graduate of Rutgers, UC Hastings, and the Harvard Kennedy School. He has two children at the Schoolhouse. Randy Preston, is the chief business officer of Centese, a medical device company building products for the recovery of patients undergoing open-heart surgery. He has worked in the healthcare industry for 15 years, across multiple sectors and roles, fostering organizational growth. Randy is a California native, having grown up in the East Bay and attending Cal Poly, San Luis Obispo where he earned a BS in Mechanical Engineering. While at Cal Poly, he found the “Learn by Doing” approach to be a refreshing and inspiring change from his prior educational experiences. This led him to evaluate the type of educational approach he wanted for his children in order to instill a lifelong love of learning. He found the idea of progressive education inspiring and the Schoolhouses approach authentic. Randy and his wife have 3 children, two of whom currently attend the Schoolhouse. One teacher serves on the Board. The Head of School, and Operations Director are non-voting members of the Board.